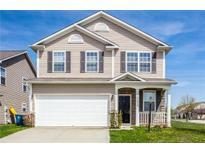 Below you can view all the homes for sale in the Deer Path subdivision located in Noblesville Indiana. 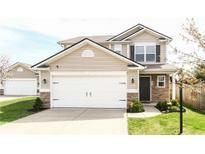 Listings in Deer Path are updated daily from data we receive from the Indianapolis multiple listing service. To learn more about any of these homes or to receive custom notifications when a new property is listed for sale in Deer Path, give us a call at 317-910-4605. Neighborhood amenities include a community pool, park & tennis courts! MLS#21635353. Keller Williams Indy Metro NE. Loft area is perfect for a media room, playroom, or home office; Newer paint including doors & woodwork; newer carpet throughout; Finished garage w/service door; back yard is tree lined and private; Roof 7 years; Great n'hood w/trails, tennis, playground, b-ball & pool; near major highways, shopping & entertainment. Award-winning schools, too! MLS#21634937. F.C. Tucker Company. 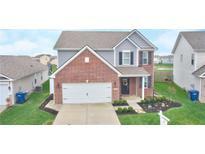 Near Hamilton Town Center.. See this great home soon! MLS#21632530. RE/MAX Legends Group. Buyer Home Warranty Offered for Peace of Mind. MLS#21631918. Berkshire Hathaway Home. Easy home to show and love! MLS#21632488. Wise Choice Real Estate LLC. Being sold As-Is, allowing you to add your own personal touches to turn this cozy house in to your DREAM home! MLS#21631705. Edge Property Group, LLC. Home has a newer furnace and water heater for years of piece of mind. MLS#21630095. Viewpoint Realty Group, LLC. The home has a two car garage with a work bench. MLS#21631033. Realty World Indy. Great location near shopping, entertainment & access to I-69! MLS#21627090. F.C. Tucker Company. Close to Hamilton Town Center and plenty of other near by shoppes, restaurants and entertainment. Award winning HSE schools. MLS#21630105. Lauck Real Estate Sevices, LLC. Conv to HamTownCtr/shopping, Ruoff Music center, I-69 and so much more. Comm Pool/playground/Trails. MLS#21624008. GO Real Estate Services, LLC. Seller providing $3000 Carpet Allowance at Closing. Don't miss this! MLS#21628256. F.C. Tucker Company. Minutes to Hamilton Town Center, restaurants, shops, and more! MLS#21626926. Everhart Studio, Ltd.. The large fenced-in back yard has a shed, new deck and newly seeded lawn. MLS#21626267. 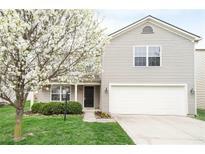 Keller Williams Indpls Metro N.
This house is a definite must see! MLS#21622443. F.C. Tucker Company. You don’t want to miss out on all this home has to offer! MLS#21610557. Homewise Realty LLC.